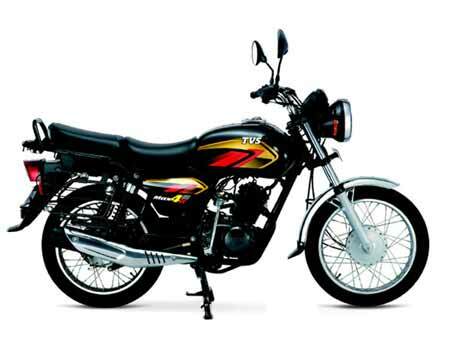 The Max has been deisgned by TVS as a motorcycle to be placed inits its portfolio as a utility motorcyle, a segment that is yet to gain importance in the Indian two-wheeler market. Being the first of the lot, the Max gets many unprecedented features and equipments. It is the first bike in the Indian market to feature four rear shock absorbers that help the bike to be used for ferrying heavy goods around on a daily basis. Despite being a basic commuter and utility motorcycle, the Max gets a sufficiently powerful mill that can ferry heavy goods at constant significant speeds over long distances. The bike’s limited kerb weight further enhances its power-to-weight ratio.